I posted a similar Horizon organic milk deal last week for the vanilla flavor, now the chocolate variety is the same price! 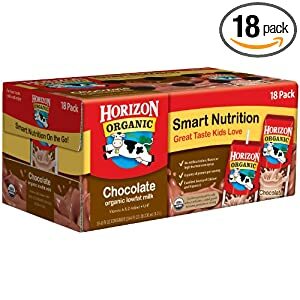 Right now you can buy an 18-pack of shelf-stable Horizon organic chocolate milk in 8-ounce cartons for just $14.02 when you place your order with Subscribe & Save. That’s 41% off the list price of $23.70! It’s easy to order with Subscribe & Save; just look for the blue box on the right side that looks like the one below (prices will be different). 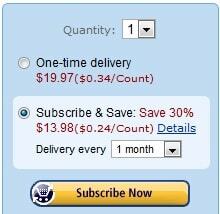 Remember, there's no obligation when you use Subscribe & Save. Just go into your Amazon account and cancel the option as soon as your order ships!